Through Fire is giving audiences another taste of its recently re-issued album Breathe. 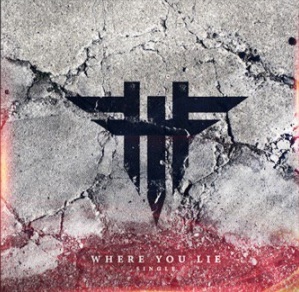 The band unveiled Tuesday the video for the album’s latest single Where You Lie. The timing of the video’s release on Halloween was fitting considering that it was filmed in a setting meant to be a dimly lit forest that included some tombstones. Even with that dark imagery, the song, which can be experienced with its new video here now, is anything but dark. Breathe’s deluxe re-issue is available now in stores and online via Sumerian Records. 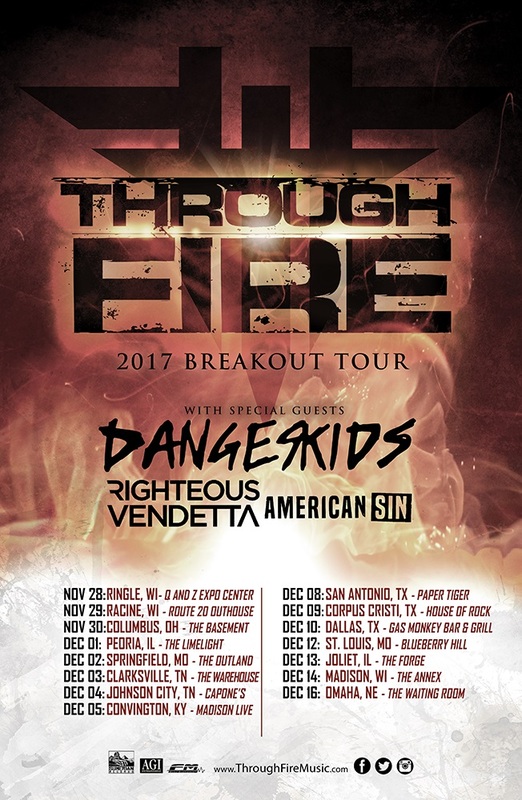 The band will tour this fall in support of the re-issue on the 2017 Breakout Tour, which will also feature Danger Kids, Righteous Vendetta and American Sin as support acts. The tour, whose schedule is noted below, launches Nov. 28 in Ringle, WI and currently runs through Dec. 16 in Omaha, NE. 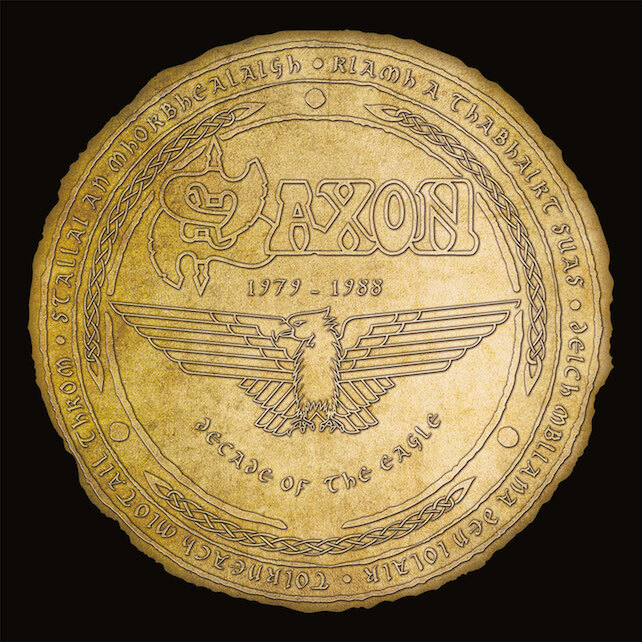 Saxon will release an extensive new hits collection this fall. BMG will release the band’s new anthology Decade of the Eagle on Friday, Dec. 1. The compilation will feature 34 tracks taken from the band’s first nine albums and liner notes from front man Biff Byford outlining that period of the band’s career. It will also feature rare and classic pictures of the band from that period. Byford said of the albums represented in this latest compilation that they represented a key moment in the band’s life, adding they are still as important today as they were in their original release. Along with its standard CD and LP release, Decade of the Eagle will also be released on a deluxe limited edition 4 LP and deluxe 2 CD platform. Pre-orders are open now here. The compilation’s full track listing is noted below. 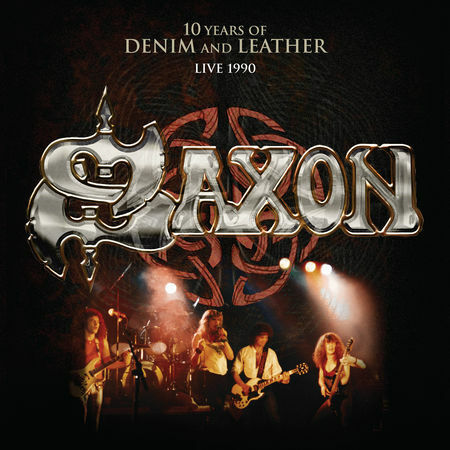 Along with the new retrospective, the band will also soon release its latest live recording 10 Years of Denim and Leather on CD/DVD combo pack. Pre-orders for that recording are also open now. The band’s most recent live recording Let Me Feel Your Power was released Oct. 28, 2016. 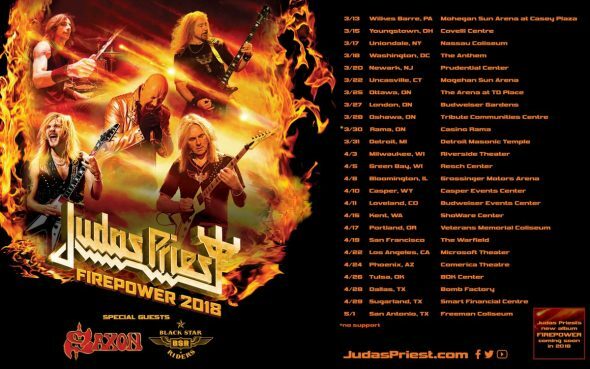 The band will give audiences the chance to experience its live show in person next spring when it hits the road for the Firepower 2018 tour, headlined by Judas Priest. The tour, which will be in support of the band’s forthcoming album Firepower, launches March 13 in Wilkes-Barr, PA. Black Star Riders will serve as support alongside Saxon. The tour’s current schedule is noted below. 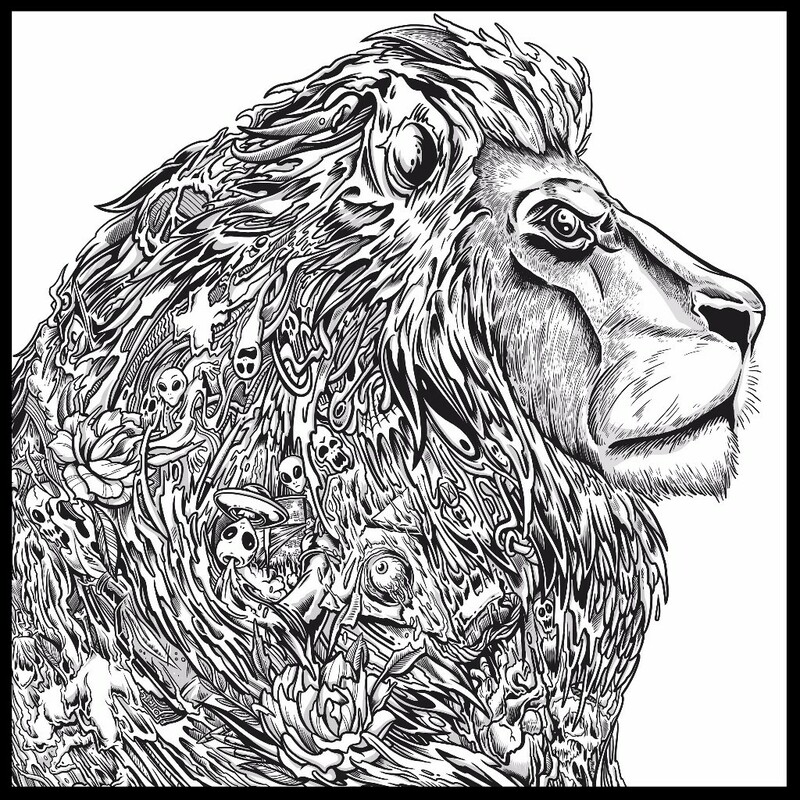 Pop Evil is giving audiences their first taste of its next album. The band has unveiled the video for its new single ‘Walking Lions,’ which will be included in the band’s next album, tentatively set to be released Feb. 16 via Entertainment One. The song, which is a solid hard rock composition akin to music from Sevendust, Otherwise and similar acts, is everything that audiences have come to expect from the band both musically and lyrically. Audiences can view the video online now here. The band’s new album, its fifth full-length studio recording, is tentatively a self-titled release and will come a little more than two years after the release of the band’s fourth album Up. Up was released Aug. 21, 2015. The band will go back on the road this fall in support of its new album beginning Nov. 16 in Lexington, KY. Its nearly three-week- tour runs through Dec. 2 and includes performances in Warrendale, PA; Huntsville, Ala; Nashville, TN and other cities. The band’s current tour schedule is noted below. 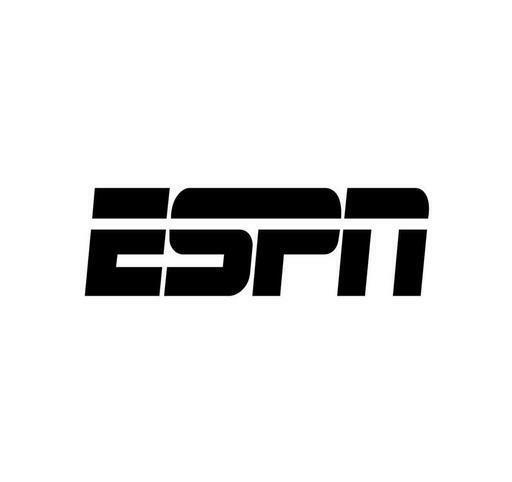 The ESPN networks’ college football coverage gets off to an early start this week. The networks’ week 10 broadcast schedule opens at 8 p.m. Tuesday on ESPN2 as Ohio State plays host to Miami (Ohio). Bowling Green will be on the road against Kent State at the same time on ESPNU. The broadcasts follow immediately the first of the season’s college football playoffs standings announcement broadcast, which airs at 7 p.m. ET on ESPN. The ESPN networks’ Week 10 broadcast schedule continues at 8 p.m. Wednesday on ESPN2 as Bowling Green will face Kent State on the road. ESPN and ESPNU continue the action Wednesday with three more games on the slate, the first of which – Northern Illinois at Toledo – is scheduled for a 6 p.m. ET start on ESPNU. Temple will play Navy at 8 p.m. on ESPN while Troy hosts Idaho at 9:15 p.m. ET on ESPNU. No. 22 Memphis and Tulsa open the networks’ weekend college football broadcast at 8 p.m. Friday on ESPN2 while No. 13 Virginia and No. 9 Miami will headline the networks’ extensive Saturday schedule. The teams will play live under the lights on ABC’s Saturday Night Football presented by Wells Fargo. This weekend’s action winds down at 10:45 p.m. Saturday as Fresno State hosts BYU on ESPN2. The ESPN networks’ full Week 10 college football broadcast schedule is noted below. 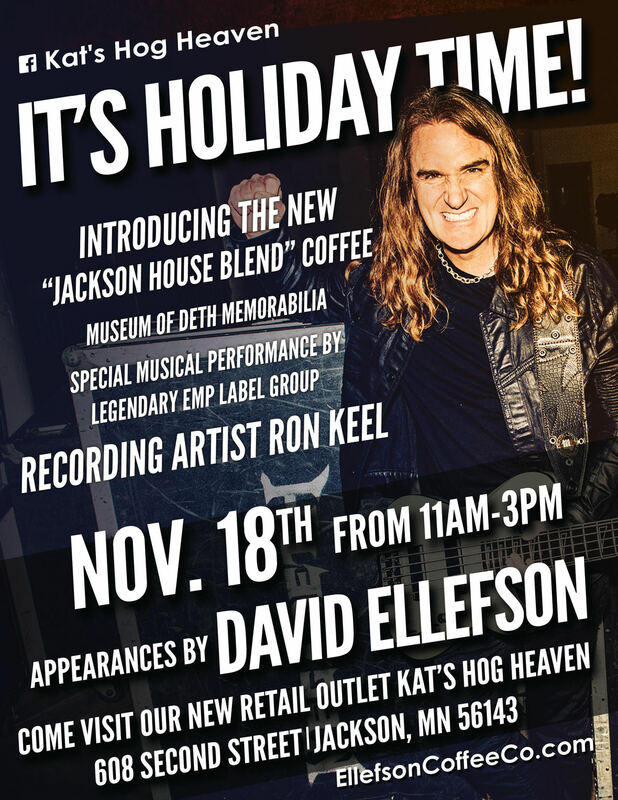 Ellefson Coffee Company is expanding its presence in its hometown, and its founder will be on hand to help mark the occasion. .
Dave Ellefson, the company’s founder (and Megadeth bassist) will return to his hometown (and his company’s home town) Nov. 18 to celebrate the birthday of Kat’s Hog Heaven, the latest of the town’s local retailers to carry the company’s coffee. The special birthday/end-of-year celebration will feature a display of various memorabilia from Ellefson’s Museum of Deth, which includes items from throughout Ellefson’s career. The Ron Keel Band, who recently signed to EMP Label Group’s new Southern Rock/Outlaw Country imprint EMP Outlaw will provide musical entertainment for the event. As an added touch, the celebration will also feature the debut of Ellefson Coffee Company’s new Jackson House Blend line. Ellefson said in a recent interview that he was looking forward to the forthcoming event. Ellefson Coffee Company Marketing/Operations Director Thom Hazaert agreed. Football fans will get a special treat of their own throughout the day Tuesday to celebrate Halloween. ESPN’s NFL Live will present its annual Midseason Awards special at 1:30 p.m. ET on ESPN. Trey Wingo will host the 90-minute special. He will be joined by analysts Ryan Clark and Louis Riddick for additional commentary. Tuesday afternoon’s broadcast will honor the National Football League’s top players, teams, coaches and moments from the first half of the NFL’s 2017 – ’18 season. The categories featured in the broadcast include: Defensive and Offensive player of the year, coach of the year, Comeback Player of the year and much more. The full list of categories and nominees in each is noted below. Later in the evening, The College Football Playoff Selection Committee Weekly Rating will air exclusively on ESPN at 7 p.m. Tuesday night’s broadcast is the committee’s first in-season ranking this season. The rankings will be broadcast weekly on Tuesday nights right up to the final ranking at noon Dec. 3 on ESPN. The Dec. 3 broadcast will also include the announcement of the 2017 – ’18 College Football playoffs. Rece Davis will host each week’s rankings broadcast and will be joined by analysts Paul Finebaum, Joey Galloway, Kirk Herbstreit, Booker McFarland, Jesse Palmer and David Pollack. Along with the rankings announcement, each week’s broadcast will also include an interview with College Football Playoff Selection Committee Chair Kirby Hocutt, reaction from coaches to the rankings discussion on each announcement. Hans Zimmer is one of the most respected and sought after composers in the entertainment industry today. With credits reaching all the way back to 1982’s Moonlighting, which starred Jeremy Irons, and as recent as 2017’s Genius, which recently aired on National Geographic Channel and starred Johnny Flynn and Geoffrey Rush as the young and adult Albert Einstein respectively, Zimmer has successfully worked on dozens of movies television programs and even music videos throughout his career. This coming Friday, Nov. 3, audiences will get to experience some of Zimmer’s work firsthand in a new live setting thanks to Eagle Rock Entertainment’s new live recording Hans Zimmer Live in Prague. 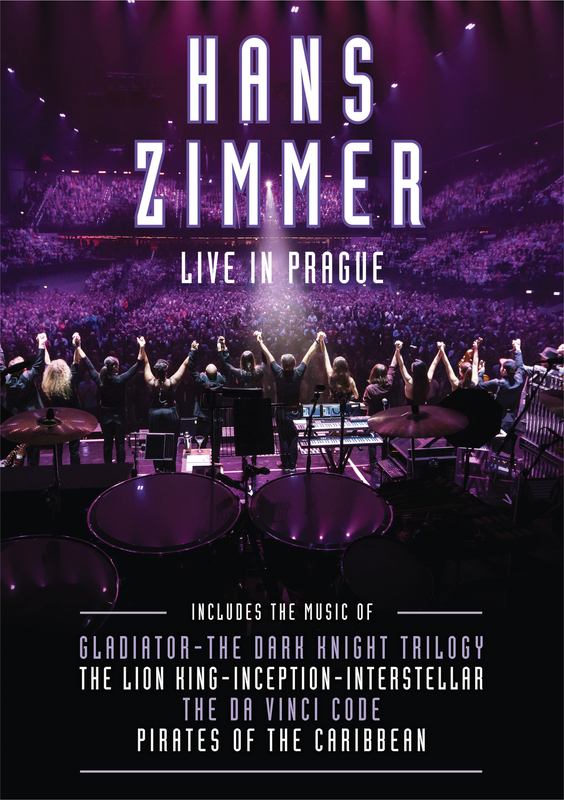 Originally recorded live May 7, 2016 in Prague during Zimmer’s successful European concert tour, this two-hour, 18-minute concert is a clear example of why Zimmer is considered one of the entertainment industry’s great musical minds. That is due in part to the songs and movies that make up the concert’s set list. The visuals that are incorporated into the concert are just as certain as the set list to keep audiences entertained and engaged. They will be discussed later. The recording’s companion booklet rounds out its most important element. Each element is important in its own right to ensuring audiences’ engagement and entertainment. All things considered, the noted elements make Hans Zimmer Live in Prague a solid example of why Zimmer is one of the entertainment industry’s most respected figures. Hans Zimmer Live in Prague is a concert experience unlike almost everything that Eagle Rock Entertainment has released in recent years. That is because unlike so many of the company’s previous recordings, this is a full orchestral performance rather than a performance put on by a band, act or group. It is a modern classical concert that through its snapshot of Zimmer’s career, shows why Zimmer’s is such a respected musical mind. That is due in part to that snapshot. The concert features songs used in some of the key moments in Zimmer’s career including Disney’s Pirates of the Caribbean franchise, Christopher Nolan’s Dark Knight Trilogy and Driving Miss Daisy as well as some of the lesser-known movies to which he contributed. Those lesser-known movies include Crimson Tide (1995), The Thin Red Line (1998) and True Romance (1993). Simply put, the movies and songs selected for the concert are but a glimpse into an otherwise extensive concert, yet still serve collectively to paint a clear picture of his career despite this fact. On another level, the concert’s set list proves important to the concert’s presentation because of the thought put into its ordering. Audiences will note that the concert starts off on a light-hearted note with ‘Driving,’ from Driving Miss Daisy, a gentle composition centered around Zimmer’s work on piano and Richard Harvey’s work on clarinet. From there, the concert’s energy gradually builds more and more with each song until finally relaxing again late in its run in the performance of ‘You’re So Cool’ from True Romance. The set list becomes even more reserved – albeit momentarily – as Zimmer and his fellow musicians make their way into the theme song from the hit 1988 Dustin Hoffman/Tom Cruise hit Rain Man before building back again as it moves into ‘What Are You Going To Do When You Are Not Saving The World?’, taken from the 2013 Superman incarnation Man of Steel. The energy remains high for quite a while from here before pulling back noticeably in the tribute to the victims of the 2012 Aurora, CO movie theater shooting in the aptly titled ‘Aurora.’ Once again, the energy builds back again following that deeply moving composition as the organization makes its way through a pair of medleys from Interstellar and Inception to close out the show. The way in which the whole show closes is the perfect accent to that final crescendo as it closes out the concert in expert fashion. It is just one more way in which the set list proves pivotal to the concert’s presentation. Keeping all of this in mind, it becomes clear why this concert’s set list is such an important piece of its whole. If any one thing can be said negative to the set list, it would be that considering his extensive resume, it would have been nice to have received more than just his most recent blockbuster action flick compositions. It would have been nice to have seen August Rush (2007), the 2010 TV mini-series The Pacific and maybe even The Simpsons Movie since he had a direct hand in that movie, too. While it is nice to see as many classics as are represented here, it would have been nice to see them balanced with more of his body of work rather than so many of his major blockbuster work. That is not to say the set list should have been longer, but rather just more representative of Zimmer’s current body of work. Even with this in mind, the set list still proves regardless to be its own important part of the recording’s whole. It is only one of the key elements to note in examining this recording. The visuals incorporated into the concert are just as important to discuss as the concert’s set list. The visuals incorporated into this concert are so important to discuss because of the impact that they have when coupled with the music. Rather than just putting the scenes to which each composition was connected in its respective movie, Zimmer and company instead chose to use more random visualizations to illustrate the songs’ energies. The visuals used in partner with ‘Journey to the Red Line’ (from The Thin Red Line) is one of the are among the hardest hitting because of their simplicity. A dotted red line pulses behind the orchestra in time with the pulse of the song’s beat, and grows in its intensity along with the arrangement’s intensity. This simple approach goes a long way toward illustrating the song’s emotional depth and power. Whether or not audiences have seen The Thin Red Line, the use of that visual, when coupled with the equally engaging arrangement, lets audiences know that this arrangement obviously was meant to illustrate a very tense situation. It does an impressive job of illustrating that emotion, too. In the same vein, the strobes and flashing colors used in ‘The Electro Suite’ (taken from The Amazing Spiderman 2) couple with the song’s guitar-driven, almost rock style arrangement to give audiences a vivid picture of how Electro came to being in that movie even without having seen the movie. It is yet another truly intense moment that is certain to keep audiences engaged and entertained. On a serious side note, moments such as this may be considered dangerous for any viewer who might suffer from epilepsy because of the constant flashing of the lights. That must be noted. Even when the visuals are as simple as changing colors, such as in the theme from Crimson Tide, that minimalist approach proves useful, too. That is because the colors themselves serve to illustrate the mood created first through the music. It is just one more example of why the visualizations incorporated into this concert are so important to its presentation, and is hardly the last example that could be cited. Keeping this in mind, the concert’s companion booklet rounds out its most important elements. The companion booklet included with Hans Zimmer Live in Prague is important to the recording’s whole because of the background that it offers audiences before they take in the concert from the comfort of their homes. Jeremy Thomas writes in the recording’s liner notes the reason that Prague was chosen as the site for this recording – he notes the country’s history played a big part in that choice – Zimmer’s willingness from one song to the next to not stick to just one type of musical grouping, allowing electric guitars to be married with pan flutes and other non-traditional instruments in some points while using other more traditional groupings in others. As if this is not enough, Thomas also gives a concise summary of the concert and much more through his liner notes. Between the items noted here and those not discussed, the whole of the material discussed throughout the booklet’s liner notes offers its own enjoyment for audiences. When that enjoyment is considered along with the enjoyment offered through the concert’s set list and visualizations, the whole of those elements shows why this one-of-a-kind recording from Eagle Rock Entertainment will “score” with Zimmer’s fans and movie buffs alike.